If you're the kind of person who likes to eat dessert for breakfast, waffles are the ideal solution. They're especially delicious topped with fresh fruit and clouds of sweetened whipped cream. 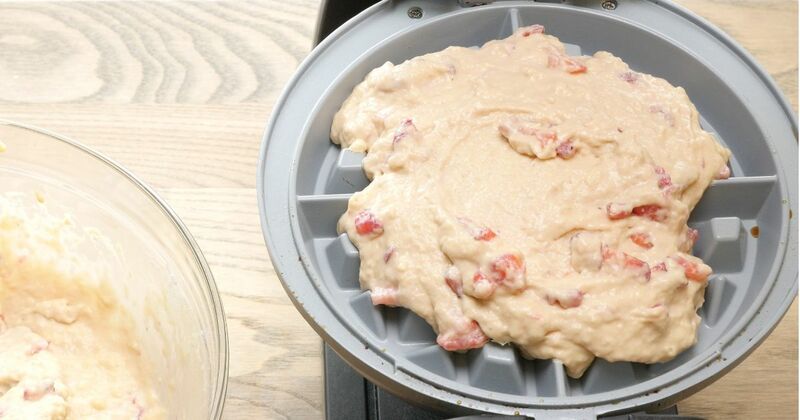 The recipe below includes fresh strawberries both in the waffles and on top. Serve them hot from the waffle iron with a cup of strong coffee, and you have a delicious, filling breakfast that's just right for lazy weekend mornings. The kids are sure to love this breakfast, too. Substitute the cup of coffee with a glass of milk for them. In a large mixing bowl, whisk together the flour, salt, baking soda and sugar. Add the eggs, half-and-half, butter and vanilla. Stir to mix. Cook the waffles, following the waffle iron manufacturer's instructions. 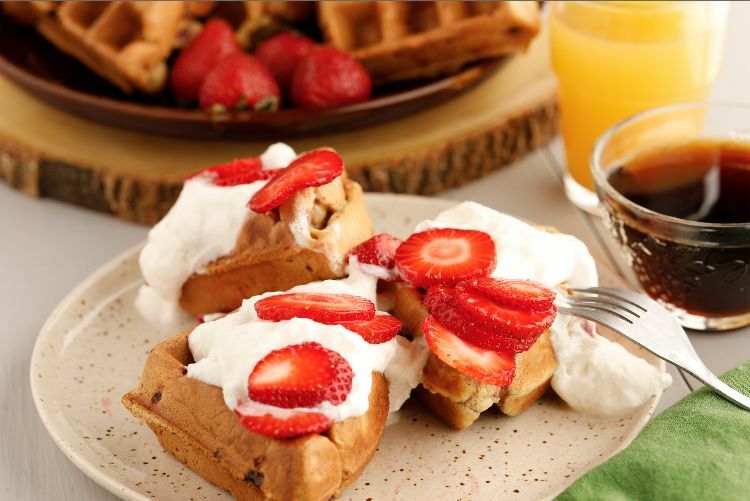 Serve the waffles warm topped with sliced strawberries and whipped cream or powdered sugar.